The technological world of ours boasts to be constantly connected; lion’s share of which goes to the social media networks along with the instant messaging applications. 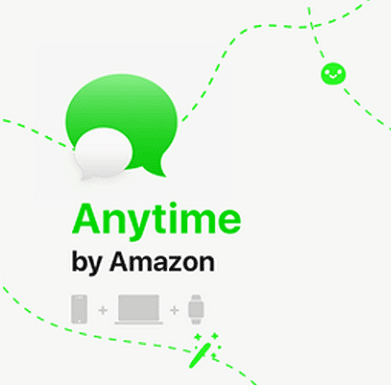 Adding to the likes of Google and Facebook is another tech-giant Amazon, reportedly working on launching its own messaging app called 'Anytime'. If a scoop from a publishing house is to be believed, select customers have received surveys on the app, including details on its specific features. 'Anytime' seems to be solid on fundamental features including group chats, voice/video calls, encryption, photo sharing, stickers and Gifs. It hence appears to be an all-in-one feature rich service that has potential to rival even big social networks. Its USP lies in the fact that it doesn’t rely on users knowing each other’s phone numbers, as Whatsapp and others. They can reach out to their friends using just their name and @mentions as well as make use of filters for photos and video with ‘special effects and masks’. 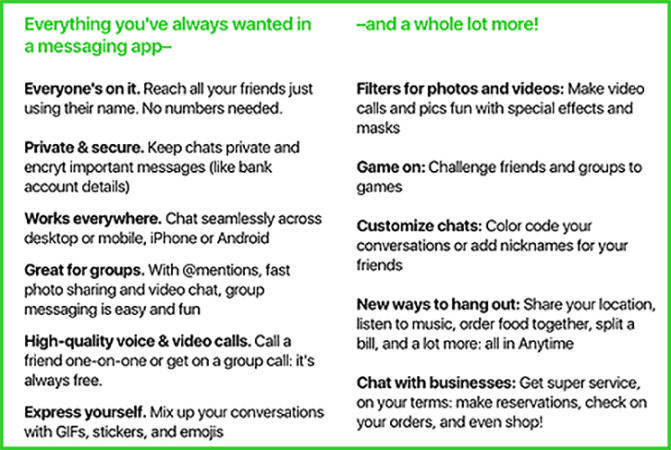 The stand-alone messaging app also provides for tasks that can be done in groups, like playing games, listening to music, and ordering food. Amazon is already a flourishing retail giant, and is likely to allow users to shop directly within the chat app, integrating within it other utility services too as making reservations, paying bills and chatting with businesses. Amazon had unveiled Chime, a messaging and videoconferencing platform for enterprise users earlier this year along with the introduction of voice calling and messaging features for Alexa-powered devices. Echo speakers from Alexa Voice Services (AVS) are likely to be launched in India by the end of this year. The stand-alone messaging app is expected to be Android and iOS compatible however there has been no official comment by Amazon regarding the app's development as of yet.